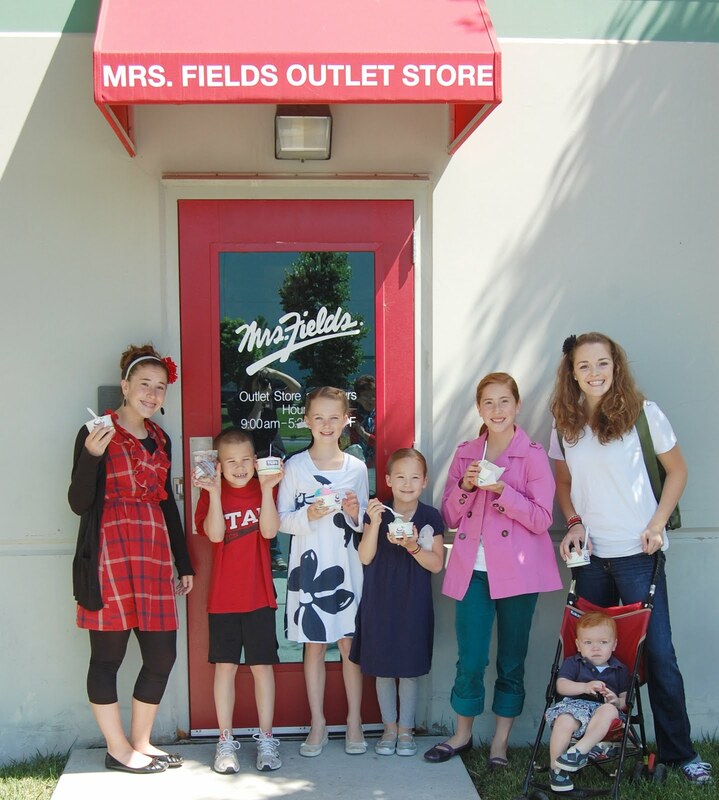 Last week I went with some of my family on the Mrs. Fields Factory tour here in Salt Lake City. We got to see where they bake, package and ship their cookies and gifts. We got to taste some yummy treats. 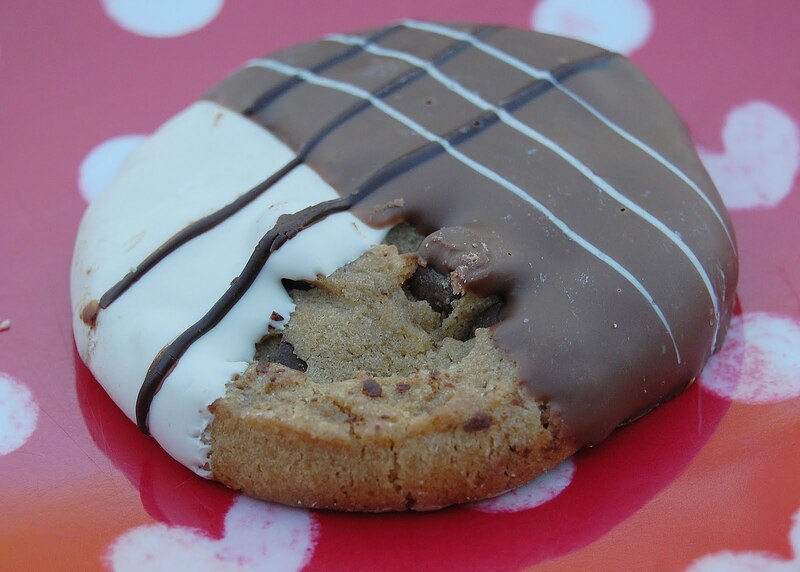 My favorite was the double dipped chocolate chip cookie. They even have yummy ice cream in their gift shop. Did you know that Mrs. Fields has a blog? Check it out for great tips, secret sales and giveaways. go take the Mrs. Fields Factory tour. Awesome idea, especially the fact that they give samples ;). And I didn't get any little stinkers spray in my bag! Bummer. That's my kinda fun right there! And I have to say what a cute group you all are! ooh, that sounds like a fun thing to do. I've never even know about it, how cool!